When it comes to movie merchandises, action figures, tees, posters et cetera are the norm, but costumes? Not so much. Official costumes do exist, but they are mostly costumes that make the wearer looks, you know, like the character in the movies who are mostly humans. However, these latest costumes relating to Jurassic World: Fallen Kingdom are out of the norm. They are not for you to cosplay as Christ Pratt, Jeff Goldblum, or Bryce Dallas Howard’s character. 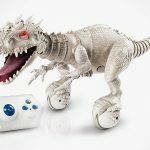 They are for you to look like the real stars of the show: the dinosaurs and oh, they are of the inflatable variety – just like the always lovable T-rex inflatable that so many have worn in conventions around the world. 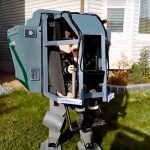 The greatest movie merchandise ever? Probably yes if one we saw didn’t look so much like the jive-talking Jim Crow in bluish gray suit like it was cameoing for Ultraman. If you know what I mean (hint: awkward kaiju). 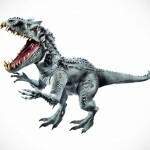 Anyways, so far there are three Jurassic World: Fallen Kingdom inflatable costumes up for grab and they include Blue the Velociraptor (which happens to be the more decent looking one, btw), a Pteranodon variety (AKA Jim Crow in Ultraman cameo suit) and a Triceratops that appeared to be on par with the Velociraptor in terms of realism until you notice that whoever donning this will have to stick their arms out of its head. Bummer. Look Ma, I’ve got hand(s)! My guess is, whoever is wearing it has to have his or her arms out. I mean, how else will he or she grab a cocktail in a party right? Jokes aside, we sure hope no one will be crazy enough to wear any of the costumes to the movie screening. Man, these things will surely piss fellow moviegoers – like Marge’s hair does. Speaking of which, yes, you can buy those costumes. 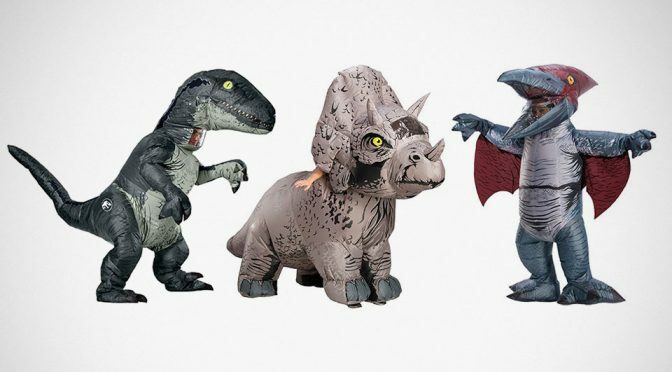 Be warned though, they are not cheap, especially the Triceratops which commands a cool $115.99 while the rest costs $69.99 each. 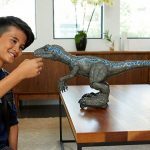 Last checked, Blue raptor is out of stock and as for the other two, they won’t be shipping until August 2018. 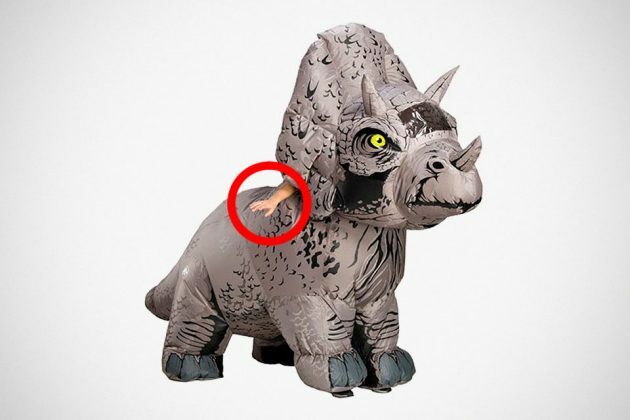 So, I guess moviegoers are safe from dino disturbances. 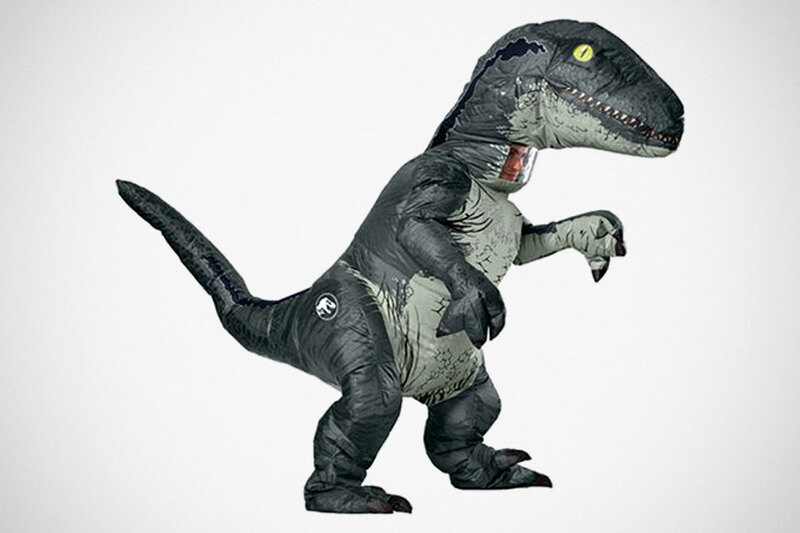 But we expect to see these at near future comic conventions and cosplay events, giving the good’ol T-rex inflatable a run for its money. 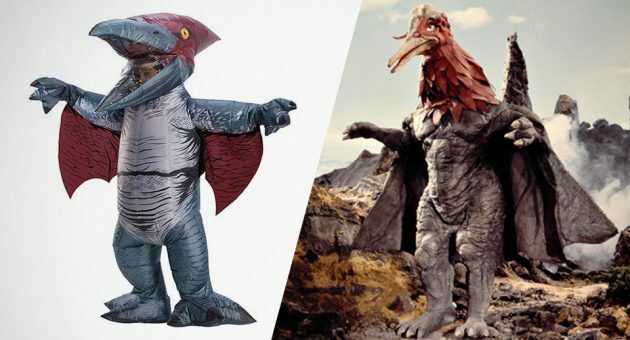 See what I mean about Jim Crow in Ultraman‘s kaiju suit? Featured image and source: io9.